D. Visser Frozen Seafood is located in Urk, the fishing centre of Europe: The company has kept growing since 1994, which is why we have now acquired a permanent place in the European market. Our company sells both our own Dutch North Sea fish and other fish caught all around the world, which today also enjoys a reputation with the consumer. All of our frozen fish products can be produced in accordance with your wishes. The possibilities we offer include various kinds of sorting, and all our natural products can be processed according to your wishes. We are also known for our wide range of breaded and battered fish products and fish products with added value. 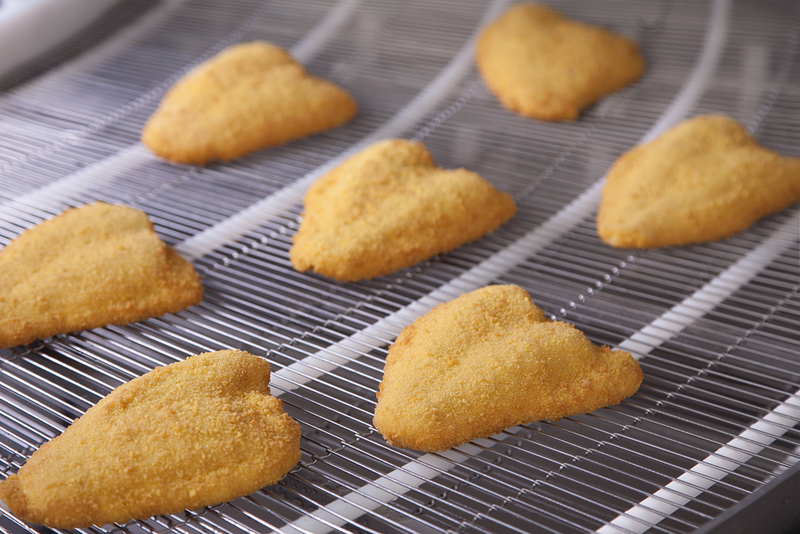 We can offer you various types of breading and we can also pre-bake breaded products for you. Perfect in taste and texture, and very easy to prepare for the consumer. All of our products are suitable as a healthy alternative to other 'fast food'. In order to achieve great end products together with our clients, we have the expertise to provide our clients with product and production advice. Advice that leads to high quality fish products, intended for end users who appreciate quality. A good name, fast service, and 22 years of experience result in the quality that you experience as a customer of D. Visser Frozen Seafood. Top quality fish products In our modern production facilities, we process fish from all over the world. We work in accordance with the European quality standards (IFS/BRC/HACCP). Our current processing capacity enables us to provide domestic and foreign customers with fish products for wholesale and consumer markets. We ensure the delivery of the right product at the right time. We can package all your fish products for food service and food retail under your own private label. For food service, we offer packages of 3 kg – 5 kg – 7.5 kg & 10 kg cardboard boxes. For food retail, we can pack plastic bags as well as small carton boxes, ranging from 200 g to 2 kg! Flexibility is a valuable tool when working with our clients. We can quickly and easily modify our production to all of our clients’ needs, especially with new challenges, which allows us to develop new possibilities. We work closely with all our clients and therefore, we discover all options they have at their disposal. Our fish products can be found, among other places, in wholesalers and supermarkets in Germany, Finland, Sweden, and Austria.